Bat looks like real wood! So he's going to be a baseball player. But the only question we have is he going to hit for average or is he going to swing for the fences? We're guessing he might prefer to do the home-run trot versus going station-to-station, but either way he'll be able to complete his baseball themed look with this exclusive accessory. Just imagine the roar of the crowd as they go wild when your child gets the big hit! 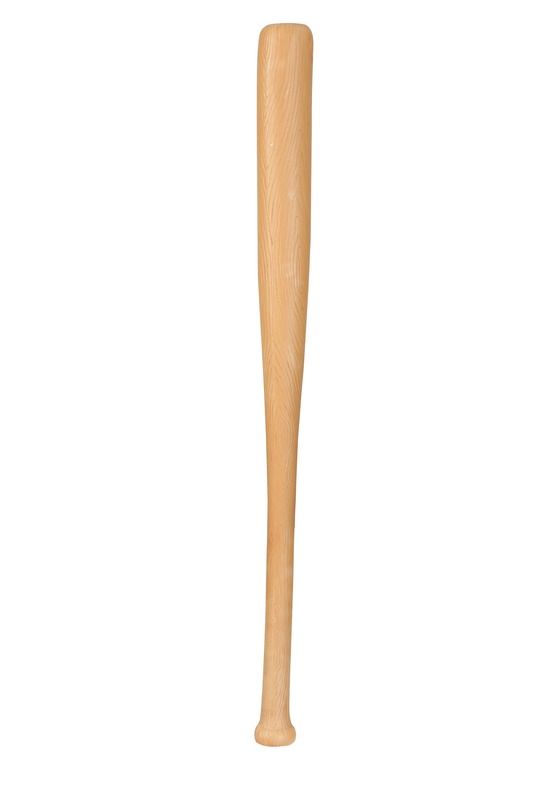 This plastic bat looks just like a wooden bat from the big leagues, but it's downsized to be just the right fit for your little one. Plus it's lightweight plastic, so it won't be a chore to carry around when trick-or-treating! 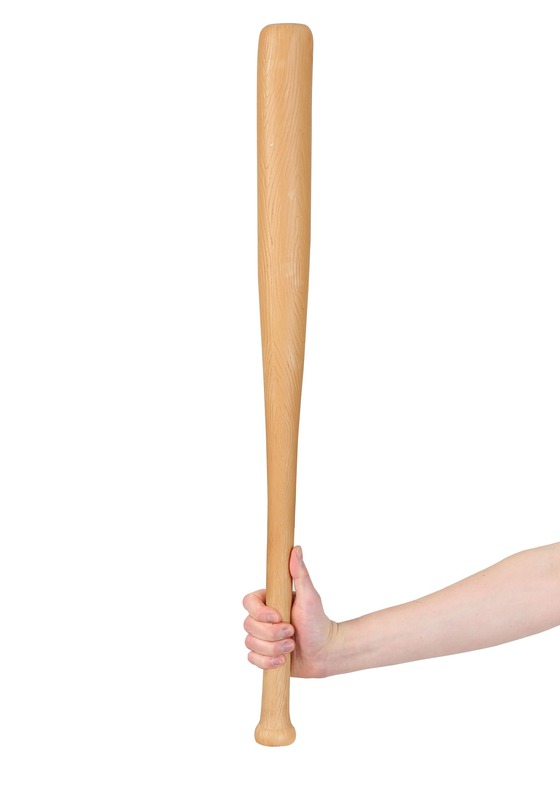 Use this Child Baseball Bat accessory to complete your girl's A League of their Own Theme, or put it in the hands of your boy to let him become the great bambino, or any of his favorite current sluggers. Whether your child is destined for MLB glory, or just wants to be one of the most famous players of all time for their big Halloween costume, this accessory will have them feeling ready to step up to the plate! The bat is fine, looks like a bat, is made of sturdy plastic. I just thought the price was too high for this accessory. I bought it because I think it is a must with the costume.